There are a lot of reasons students base their college choice on, but have you ever wondered what stars say about it? Believe it or not, but there is something in it. Check the information below and see whether your choices match up with the ones your zodiac sign predicts you. Your zodiac sign suggests you to consider art colleges and theatre! You are enthusiastic and spontaneous individual thus these features of character will fit perfectly in a creative environment. You like to try new things, you have a fantastic sense of humor, people love and adore you. Why not to consider a theatre career then? Your stubbornness and logical thinking will be ideal features for long-term projects in science or physical therapy spheres. Your zodiac sign offers you to think about health and rehabilitation sciences colleges. Well, that’s very interesting, don’t you think so? You are one of the most complex signs, but your versatility will be ideal for a wide range of topics. Your sign suggests you to check general studies colleges. Cancers usually are fantastic parents so working with kids might be the best solution for them. You are a compassionate and understanding individual, no doubt, education schools are worth considering for you while choosing a career path. Leos are inborn leaders; thus the profession choice is usually an easy target for them. Administration and management colleges will fit perfectly for these individuals. These individuals usually have rational logical thinking and good organization skills. Your zodiac sign suggests you to think about public health colleges as a variant. A sign that’s constantly looking for balance and stability. Stars offer you to consider engineering professions and choose a college related to this discipline. Scorpios are very passionate and initiative individuals. They are good speakers and are extremely self-disciplined and self-motivated. Stars suggest you to choose a field of social work as your future career path. If you are born under this sign, you are natural social butterfly. Your communicative skills and positive attitude are ideal for communication-related career options. If you are lucky to be born under this sign, you must be very logical and ambitious. You will have no problems climbing the corporate ladder thus stars offer you to consider business-related schools. Your philosophical and abstract thinking along with a strong will to explore everything around you will be a perfect match for theological colleges. 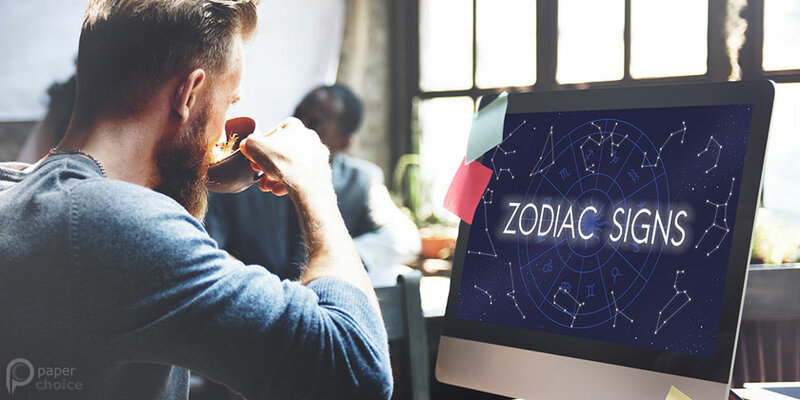 Being the most imaginative and creative individuals among all the other zodiac signs, stars suggest you to not let your talents be wasted and forgotten. Consider joining a college of arts where you can find the sphere which satisfies your wishes. The college choosing process is surely hard and demanding and while there is nothing bad in considering all the possible aspects while making your decision, you should understand that, first of all, you better concentrate on yourself and your own needs and desires. Rated 4.5 | From 285 users.